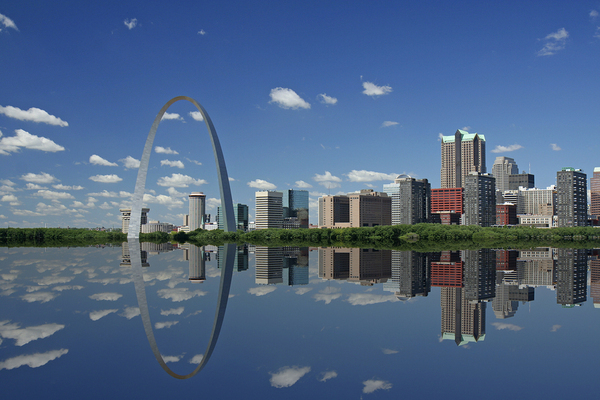 Are you ready for all the seasons in St. Louis? With its hot, humid summers, cold winters, thunderstorms, and tornadoes, St Louis is not known for being subtle about its weather. If you’re a St. Louis resident, you know that your roof, awnings, and gutters need to be strong to resist the damages the weather can cause throughout the year. Although the weather can be harsh, a proactive approach will eliminate worries about what the elements will do to your home. You won’t have to worry about your gutters, no matter if it’s snowing or raining outside. When it’s windy and wet, leaves and branches can easily clog your gutters and lead to problems with your home, including your roof, your siding, and your foundation. When your gutters are clogged, they not only overflow onto your landscaping and your home, they also attract nesting birds, rodents, and wasps. If you’re in search of a better way to manage your gutters through the storms, turn to Gutter Helmet®, America’s most trusted patented gutter protection system. Gutter Helmet® protects your gutters and the rest of your home. Using a patented nose-forward gutter guard design, it allows water to flow down into the gutter, while leaves and other debris simply slide off the end of the gutter. The water that falls on your home moves swiftly and smoothly into your downspouts. This keeps your gutters clear and clog-free. No clogs, no overflows, and no worries about the damage an overflow can cause. No matter what kind of roof you have, Gutter Helmet can help. At Harry Helmet, we know that winter storms can trouble your gutters as well. While the winter’s snowfalls can be beautiful, they can also be a hassle. As snow and ice accumulate on your roof, ice dams can form and loosen your shingles and ultimately lead to leaks. That’s why we’ve developed Helmet Heat, an innovative solution that allows you to get rid of ice dams and icicles for good. Our gutter heating system gently warms snow and ice, stopping its accumulation. You won’t see icicles or snow accumulation close to your gutters. Water moves easily into your downspouts instead and worries about ice dams and the damage they can cause are eliminated. Unlike other gutter filtration products, Gutter Helmet® doesn’t require frequent changing, and it won’t clog. In fact, you’ll never need to climb up a ladder in the rain to clean your gutters. 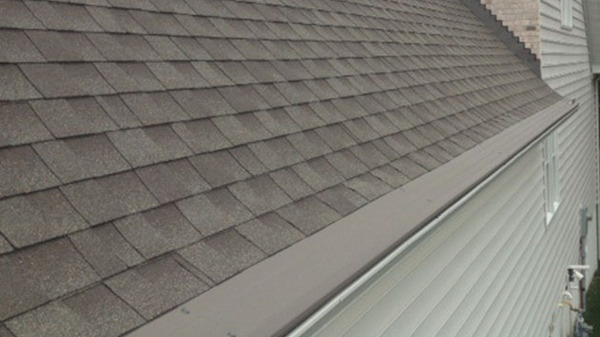 Our gutter system comes with a triple lifetime no clog warranty. You don’t need to worry about installation either because it’s professionally installed by gutter experts who have years of experience in gutter installation. No matter what your roof looks like or how much rain you get, Gutter Helmet® can protect your home. Are you worried about clogged and overflowing gutters? Ease your mind and stop climbing those ladders. Call Gutter Helmet® of Missouri. We’ve been protecting the nation’s gutters for over 35 years. Count on us to turn your gutter problems into gutter solutions. Contact us to learn more about gutter guards today.